On Saturday night, Devin Booker had a quarter to remember. In the last 7:14 of the second quarter, Booker caught fire on torched the Milwaukee Bucks. Booker went 9 for 11 from the field and hit all 5 of his three-point attempts. In total, Booker threw down 27 points in the second quarter. Unfortunately for the Suns, this almost record-breaking quarter still wasn’t enough as the Bucks beat them 137-112. After the second quarter, Booker cooled off significantly as he finished with 31 points for the entire game. 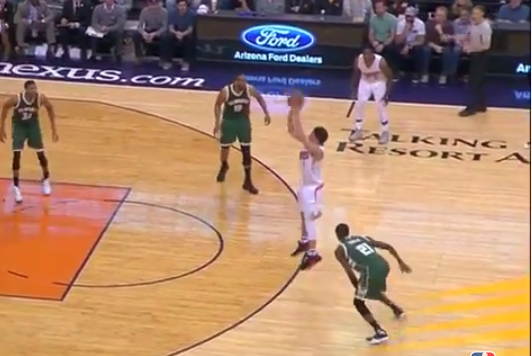 Here’s a look at Devin Booker’s quarter to remember…..